The New Babylon is a Russian silent film, made in 1929, centred on the events related to the rise and brutal suppression of the 1871 Paris Commune. As the Germanic Prussian army defeated the French army and advanced to conquer Paris, the rich in the city went on with their escapist lives without caring to protect the city. On the other hand, the working class of the city refused to capitulate and set up a Paris Commune to protect the city from the Prussian army. The Paris Commune achieved its primary aim of protecting the city but was in turn crushed by the French Government. Thousands of members of the Paris commune were killed by the French Government instead of being grateful to the brave hearts. It was not strictly the commune's historical reality that inspired Kozintsev and Trauberg. 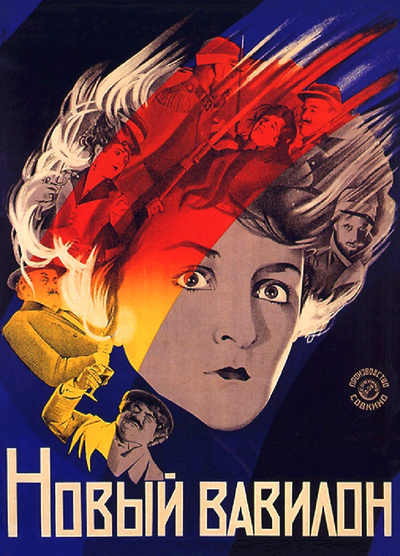 It was the movement's symbolic re-invention of "The City of Light" — an attempt at the creation of a universal socialistic "Paris of the Mind" that the two Soviet artists found most intriguing.